Michael O’Boyle of America’s Power Plan outlines the unique challenges in the Western Interconnection. 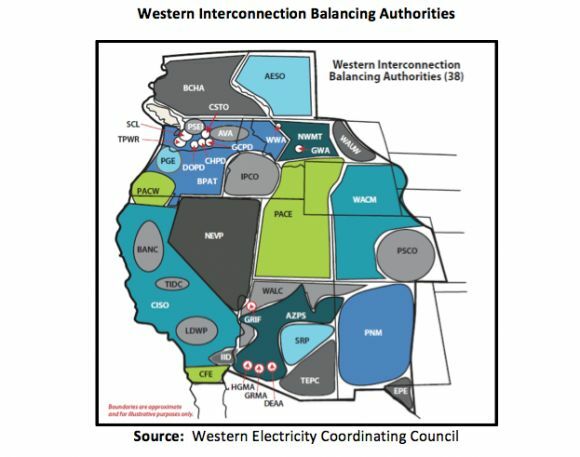 The Western Interconnection’s electricity system is undergoing unprecedented change. State and federal regulations requiring decreased coal-fired generation, as well as increased renewable energy resources, energy storage, demand response and energy efficiency, are projected to generate significant near- and long-term economic and environmental benefits. While renewable energy policies have pushed down the costs of wind and solar -- in some cases below the average cost of existing resources -- the technical ability of renewables to deliver clean, reliable and economic power has improved dramatically. However, the full transition to a cleaner, more reliable and more affordable electricity system still requires resolution of significant institutional barriers. Grid Integration in the West, a new report from the Hewlett Foundation, compiles detailed descriptions of initiatives underway in the West to overcome these barriers, improve regional coordination and develop new markets. The report echoes recent America’s Power Plan recommendations. Renewables integration has forced reconsideration of system operations, planning and markets. The report highlights the key barrier to optimal integration of renewable resources in the West: insufficient regional coordination. In order to develop a dynamic bulk electric grid, system planning and operation -- as well as how entities are compensated for the energy, power, ancillary services, and emissions reductions -- must evolve together. Advances in regional coordination and markets are critically important for the Western Interconnection, and entities in the region are aggressively developing and implementing groundbreaking initiatives to improve regional collaboration. While renewable energy deployments are rapidly accelerating, they are being deployed into a system with pre-existing challenges. These challenges were highlighted by the September 2011 Southwest blackout that left approximately 5 million people in Arizona, Southern California and Baja Mexico without power for up to 12 hours. The outage, caused by factors independent of renewable generation, was the subject of a joint analysis by the Federal Energy Regulatory Commission (FERC) and North American Electric Reliability Corporation (NERC). The analysis resulted in $40 million in penalties and significant requirements for corrective action; it also identified how deficiencies in Western Interconnection operations planning and situational awareness create regional reliability threats. Fractionalized grid planning and markets are key contributors to integration challenges in the West. There are 38 separate balancing authorities (BAs) that currently manage regional reliability through a portfolio of reliability functions within their respective control areas. Compare this to the Eastern Interconnection, where the majority of the system is managed by six regional transmission organizations (RTOs), and the high number of Western BAs becomes problematic because smaller control areas have constrained access to the resources necessary to optimize reliability and system economics. Additionally, a majority of entities in the non-ISO Western Interconnection areas transact the bulk of their business through bilateral contracts, operating on an hourly basis, as opposed to through centralized markets on a sub-hourly basis. As the characteristics of the electricity system have evolved over time, the hourly bilateral approach has become less efficient and an increasing barrier to reliability and economic system operation. Inefficiency, poor liquidity, and lack of transparency are hallmarks of this legacy structure. 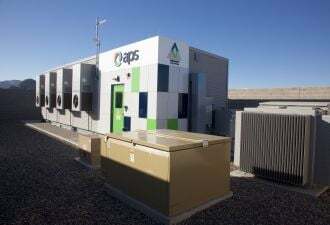 By contrast, the California Independent System Operator (CAISO), the Alberta Electric System Operator, and most of the Eastern Interconnection use centralized markets and operations co-optimized to transact, schedule, and dispatch energy, capacity, and a host of ancillary services. These regions transitioned to centralized sub-hourly operations and markets years ago to protect grid reliability and lower long-term costs. Regional transmission planning and cost allocation, as required by FERC Order 1000, are critical to develop foundational infrastructure for a system with rapidly changing generation and demand characteristics -- particularly because of long lead times for transmission development. Larger geographic control areas allow system operators to net the variability of renewable generation, traditional generation and consumer demand. 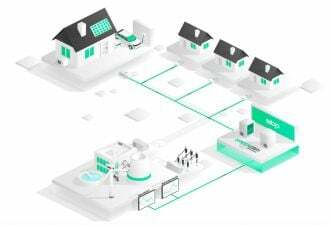 This reduces the need for system operators to hold high levels of operating reserves, adjust thermal generating units in real time and curtail renewable energy. System operators with access to large pools of generation and transmission resources can more effectively dispatch resources in sequence of lowest cost first and leverage flexibility within the system -- both of which can reduce transmission congestion and system-wide marginal operating costs. The grid is intrinsically regional and can be utilized more reliably and more efficiently through cohesive management. Customers throughout the region benefit from strategies including consolidated transmission tariffs, centralized dispatch of generation assets, sharing of operating reserves, energy imbalance markets, or Regional Transmission Organizations (RTOs) with integrated forward markets. Fortunately, several of these strategies are already being considered in the West. Of the many activities underway in the Western Interconnection, four major initiatives are making significant strides to upgrade electricity system planning, operations and markets. The current focus is on operational tools to support reliability and efficiency in the region. Market functionality is also being collaboratively explored by the 14 balancing authorities and 100+ electricity providers in the NWPP MC footprint. On April 14, 2015, the CAISO and PacifiCorp announced that the entities had entered into a memorandum of understanding to explore full PacifiCorp participation in the CAISO markets by 2017. 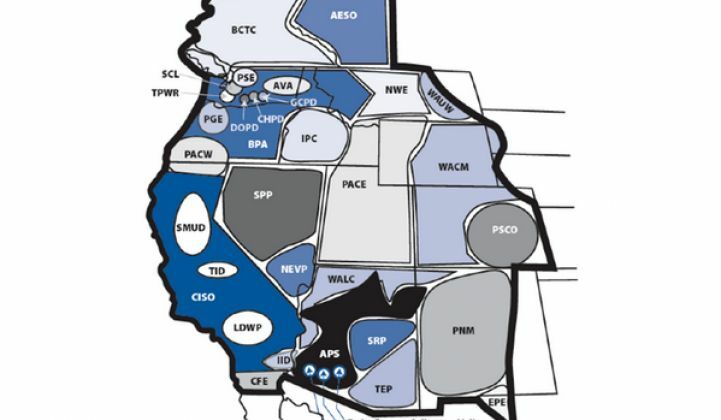 With this transition, CAISO would dispatch the generation and transmission resources in the CAISO-PacifiCorp combined footprint and would be the centralized market operator. Seven entities along the Rocky Mountain West are in negotiations to develop a common network tariff. The Mountain West Network Tariff would significantly modify the terms by which the entities sell access to their respective transmission systems and would centralize certain aspects of the operations, resulting in improved system reliability and efficiency. The network would be managed and the tariff administered by a single entity. 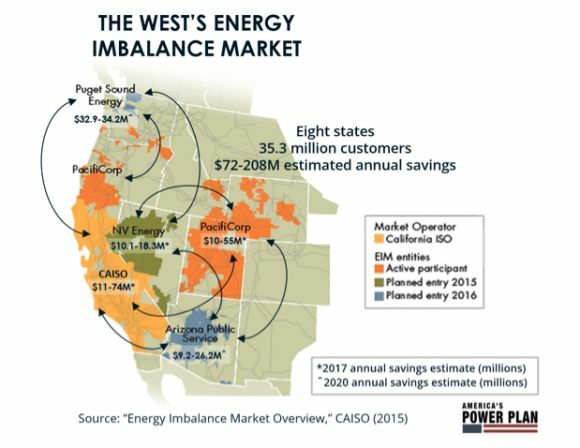 The highly publicized CAISO EIM is an extension of the CAISO real-time energy market to adjacent operating footprints. The CAISO and PacifiCorp began binding EIM operations on November 1, 2014. NV Energy is expected to join the market in October 2015, while Puget Sound Energy and Arizona Public Service intend to join the market in October 2016. Independent analysis estimates this will create up to $208 million in annual savings for 35.3 million customers across eight states by 2020. Collaboration across states and broad stakeholder participation will be essential to overcome institutional barriers. Six steps can capture the benefits of greater regional coordination and drive a more affordable, reliable, clean grid directly benefiting consumers and state economies. State policymakers should fully participate in current regional stakeholder processes regarding consolidation of operations and market development, and should start dialogues where they do not currently exist. Public utility commissions should require utilities to fully evaluate ratepayer benefits of participation in regional markets as part of the normal course of resource planning and rate cases. States and utilities should collaboratively increase coordination of transmission planning and operations to best use existing assets and optimize new development. Utilities should continue to virtually and physically consolidate operations and markets to reduce costs. Regulators should ensure economic benefits of regional collaboration are appropriately passed through to ratepayers. Electricity stakeholders should examine successes and failures of markets in the East and California to leverage knowledge about what policies work for market design, governance and deployment. Holistically addressing Western electricity system challenges will require electricity providers, regulators, and a myriad of stakeholders to collaborate across the Interconnection. Sub-regions of the West are highly likely to eventually transition to variants of consolidated system operations and markets for both reliability and economic reasons. This will create new challenges and opportunities for state regulators because initiatives to upgrade the electric system are becoming increasingly regional in nature, but investment decisions for electricity infrastructure are made primarily at the state level. Michael O’Boyle represents America’s Power Plan. Thanks to Julia Prochnik, Ron Lehr, Rebecca Johnson and Sonia Aggarwal for their input on this piece. The author is responsible for its final content.